The Rampage Castle Ruins contain one hundred and nine ruin wall and floor pieces. These can also be mirrored to make over two hundred separate ruined sections. We have taken each wall piece and have created two or three ruined versions of it. 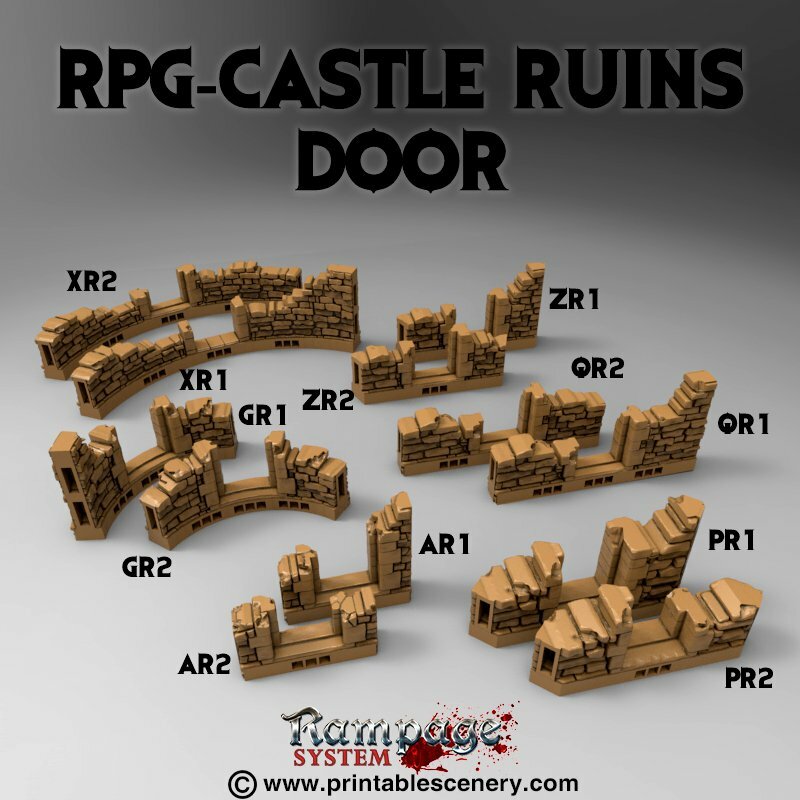 Notes: This file pack only contain the ruined versions of the Castle tiles. 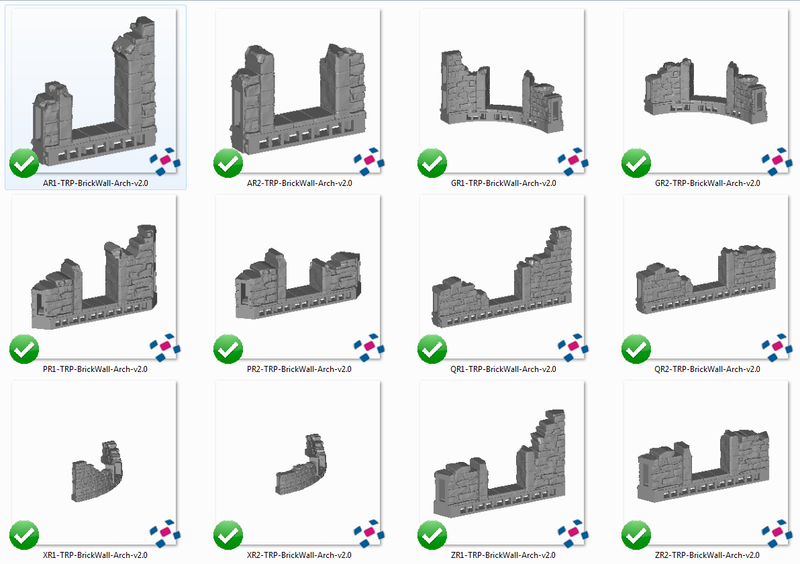 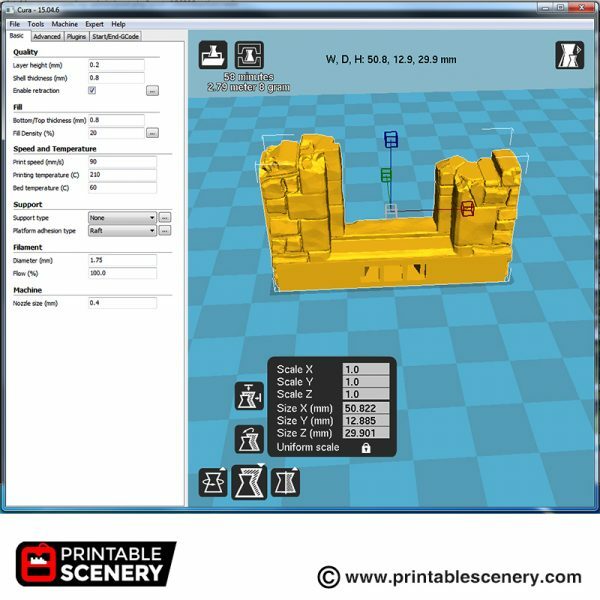 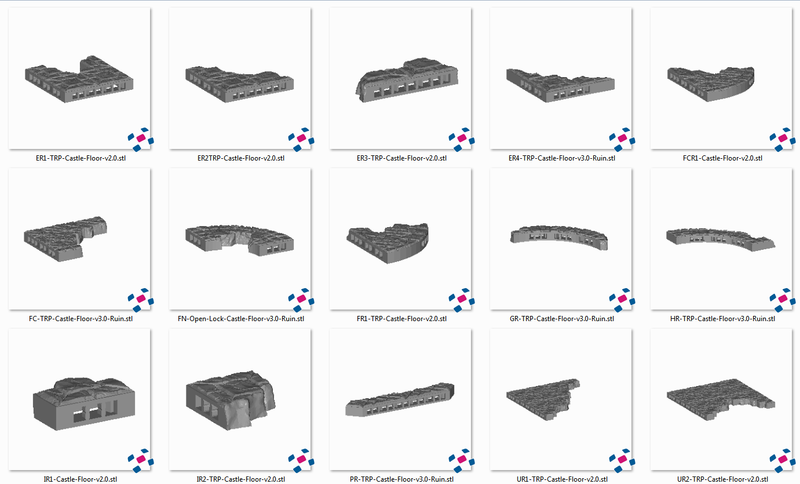 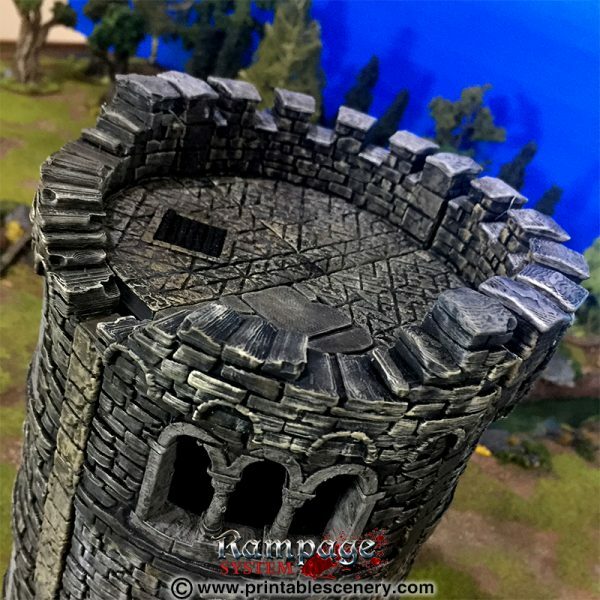 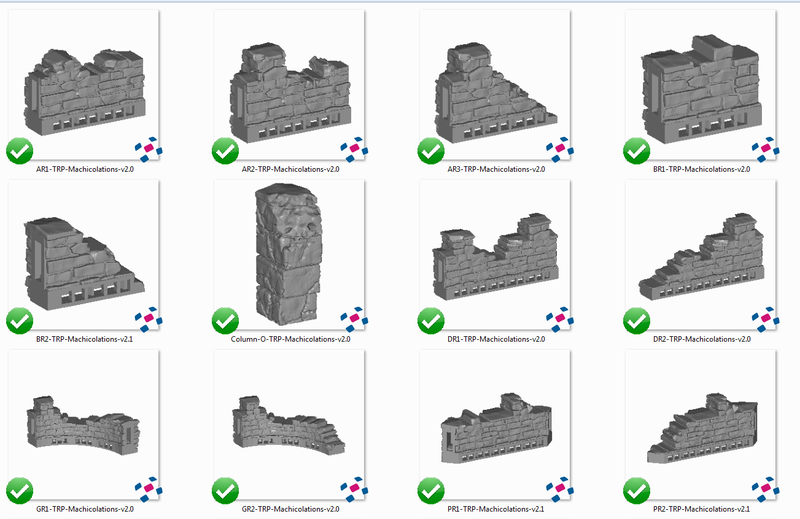 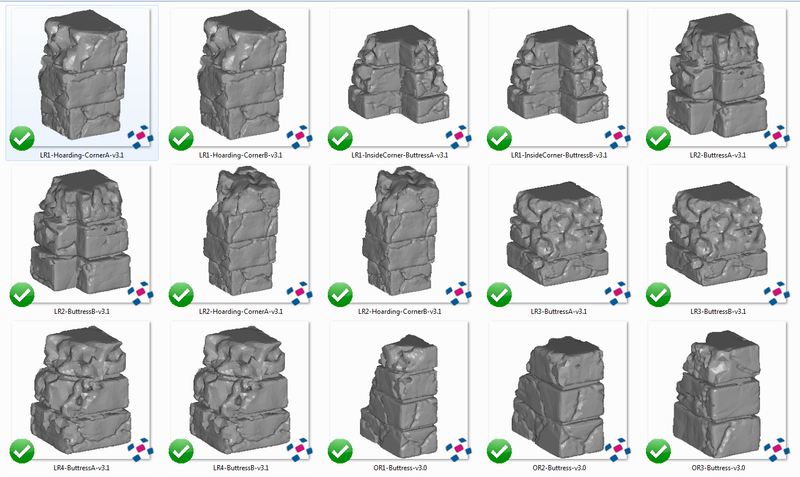 To create the Castles as seen in the photos, you will need to purchase other Castle items such as Castle Floors, Castle Slits, Castle Windows, Castle Door, Castle Arches and Castle Walls. 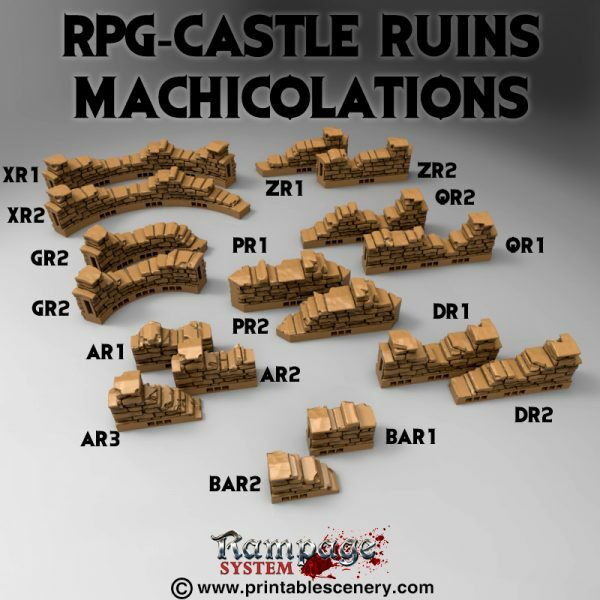 6 June 2017 – 1.4 Includes OR-Column-Low-Rpg-v1.0, OR-Column-Rpg-v1.0, OR-Column-Machicolations-v1.1. 9 June 2017 – 1.5 Includes FCR1-castle-floor-v0.2. 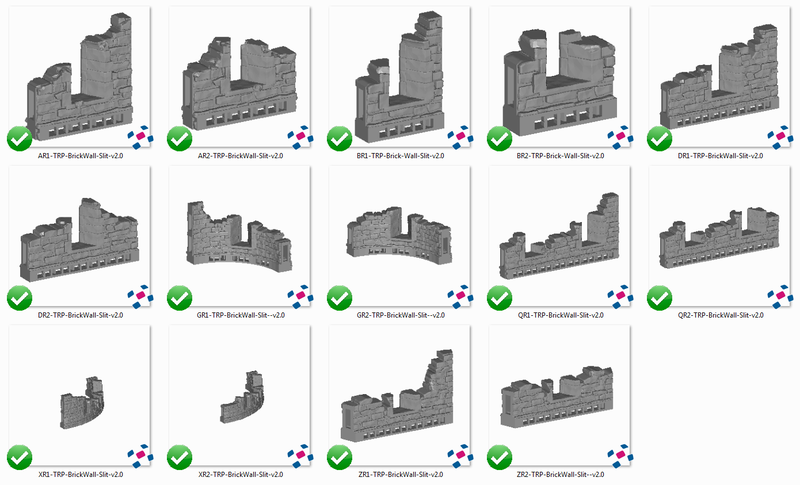 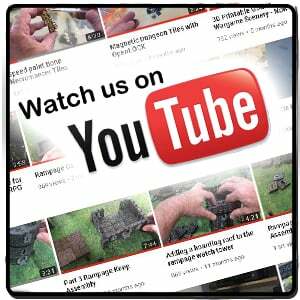 6 April 2018 – 2.1 Updated to Triplex. 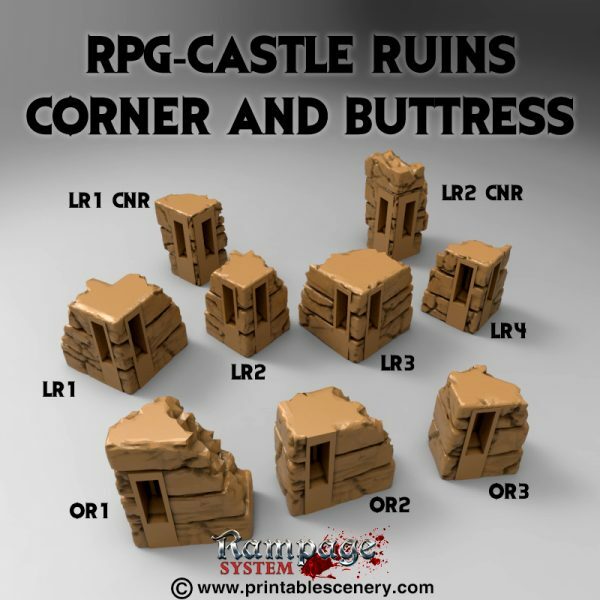 15 November 2018 – 3.2 More Ruin Floor options added. 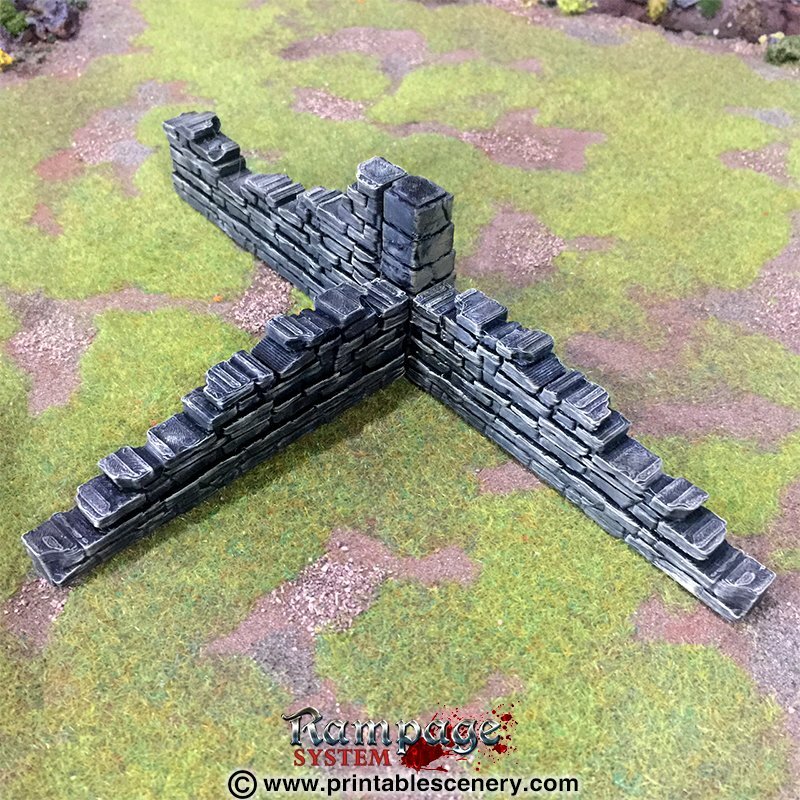 No ruin floor for XR curve walls? 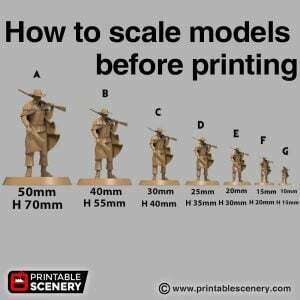 Or did I miss it? 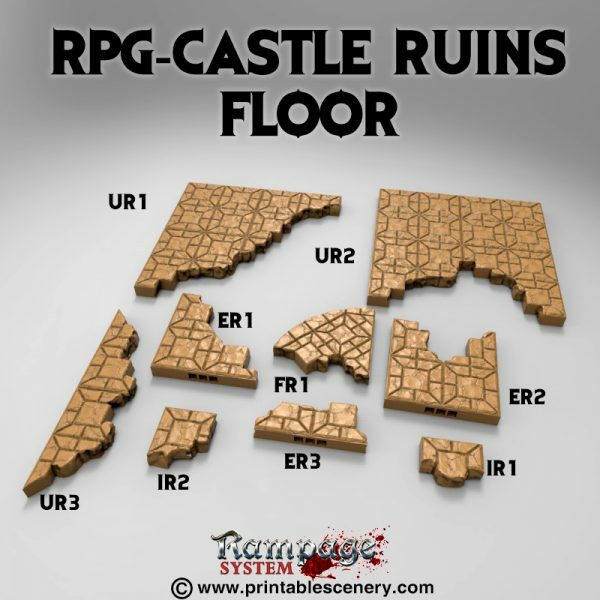 There are no ruin versions of the V floors at the moment, but we have them on the to do list. 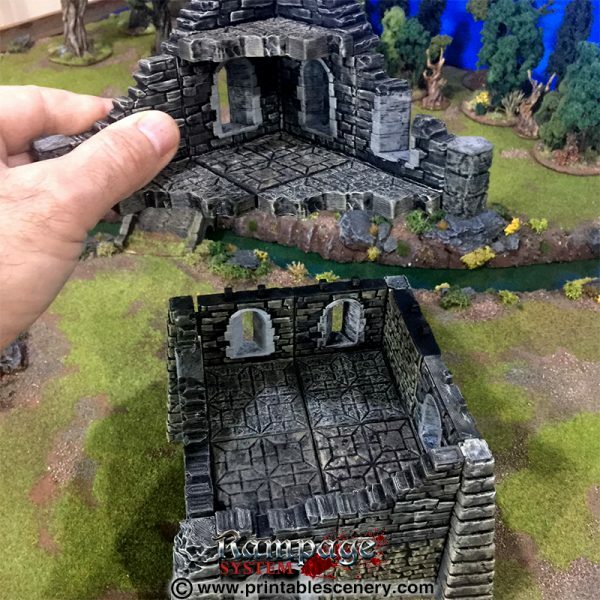 There is an awesome amount of stuff in this pack–to the point where a noob like me is overwhelmed! I would love to see some ‘recipes’ posted to help me get started, like how to build some of the neat ruined towers in the pictures above. 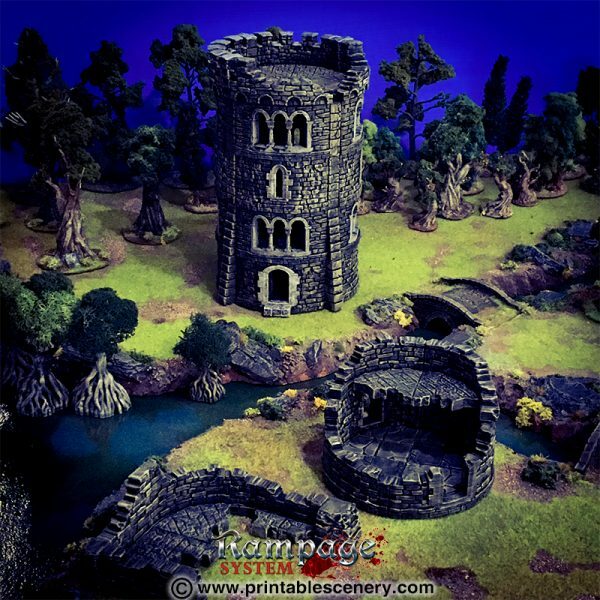 do you have parts lists to build the towers pictured in the promo art? 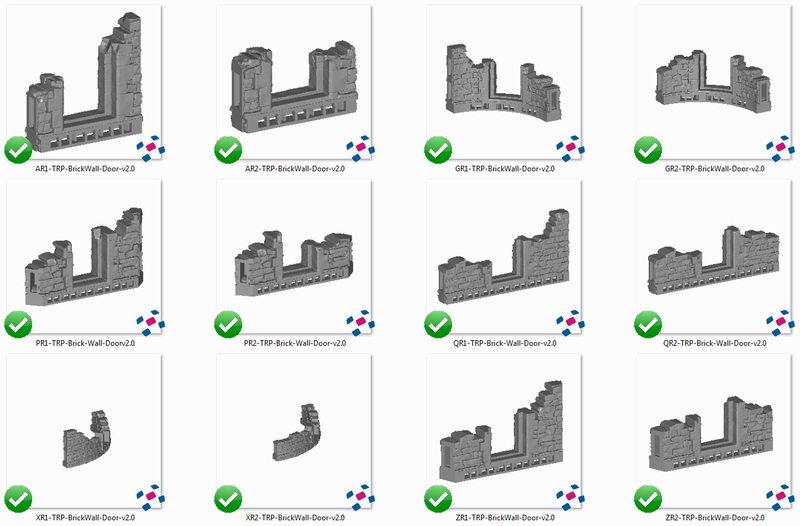 So I can print just the pieces I need? 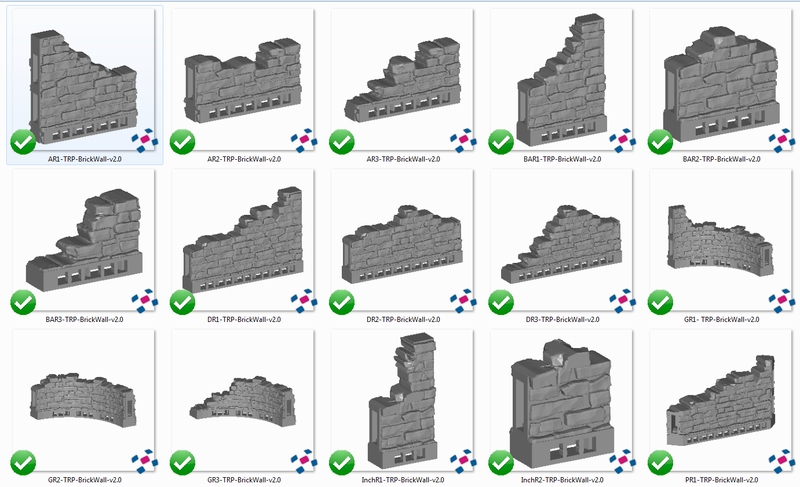 They are all included in this product. 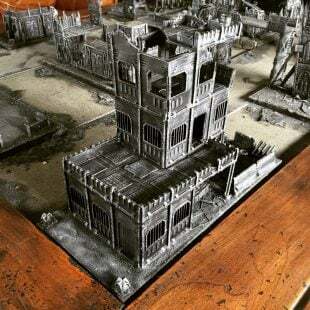 I’m having great fun building up a Mordheim table entirely with your models. 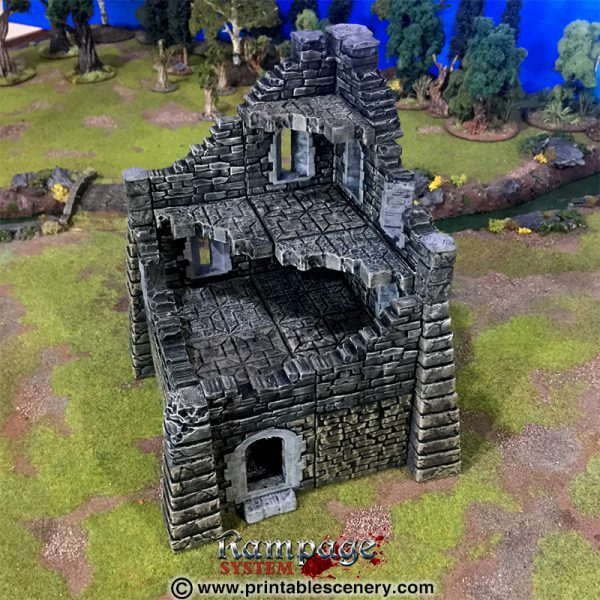 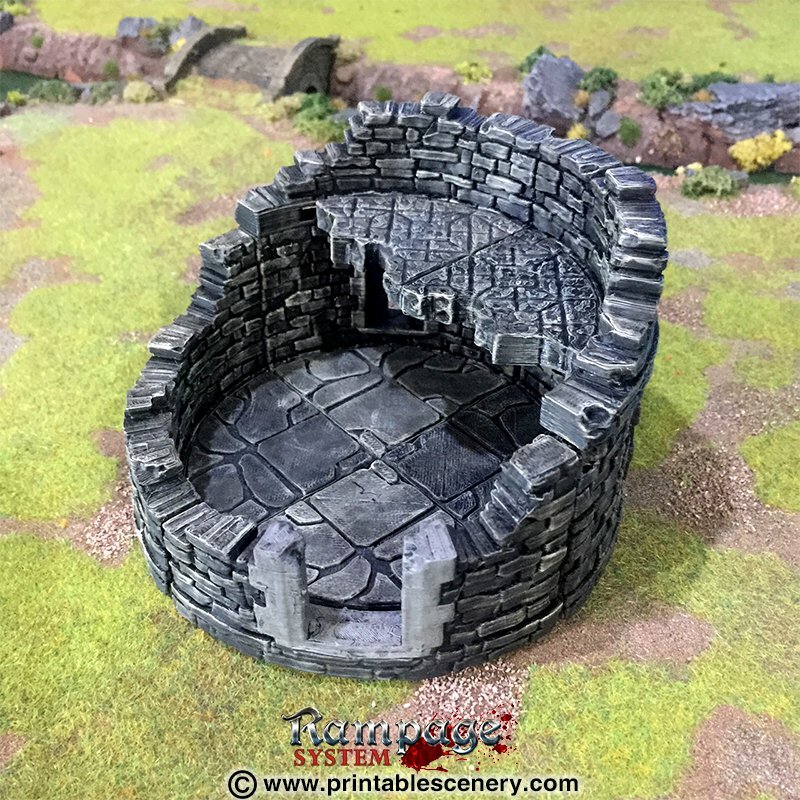 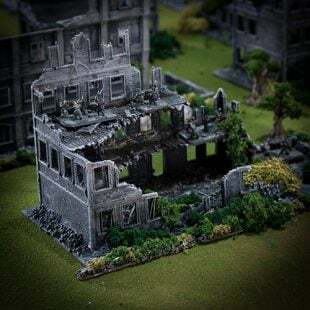 Any chance of you adding a couple of ruined slate roof pieces to the ruin mix? 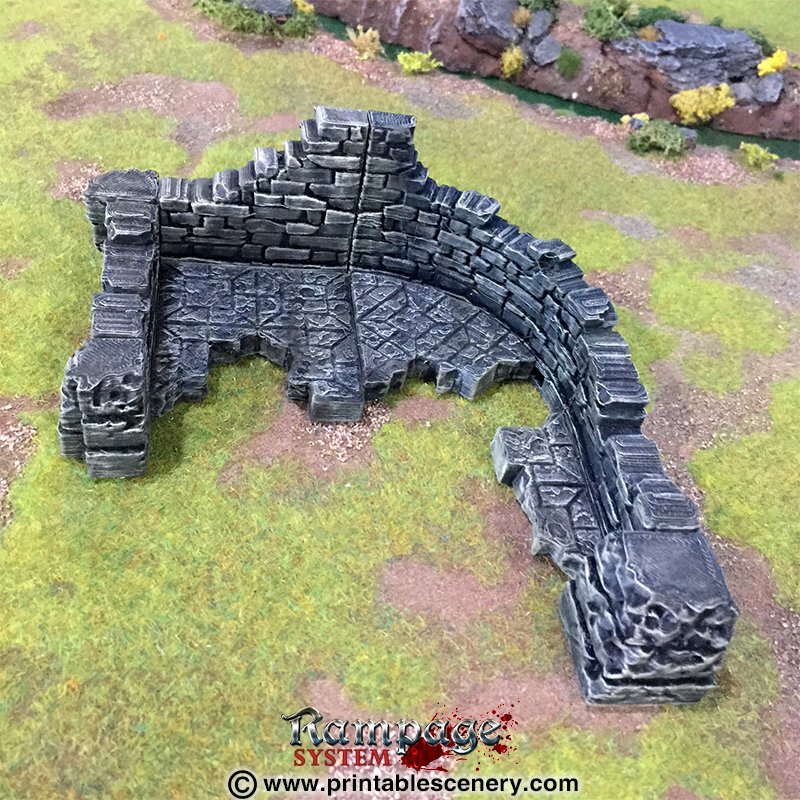 “Just” a couple of ruined end pieces would be extremely awesome as we could build up ruined buildings with as much or little roof as we wanted. Awesome! 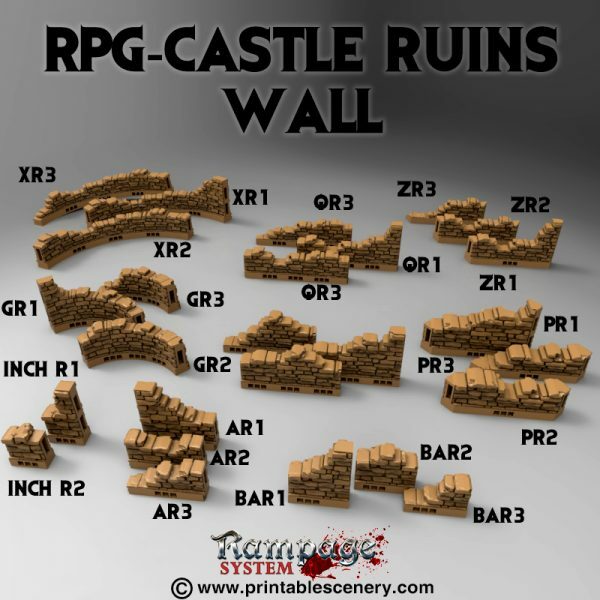 Now that we (well: “you”) are at it: The S-walls would be very cool as ruins as well. 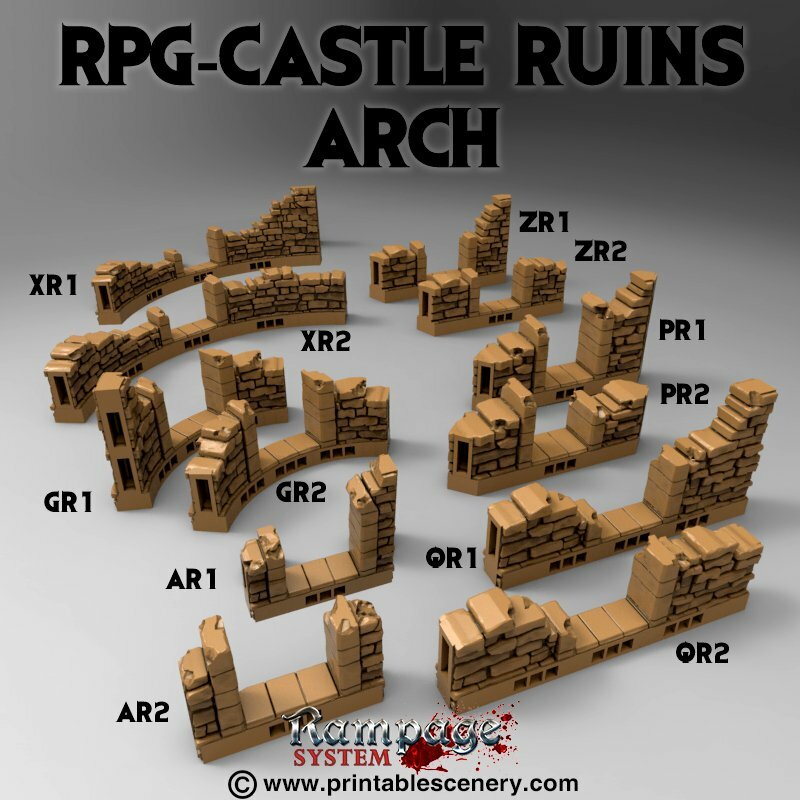 Then it would be much easier to build up whole ruined levels of building – or large ruins with only letfovers of the ground floor but lots of seperate rooms. 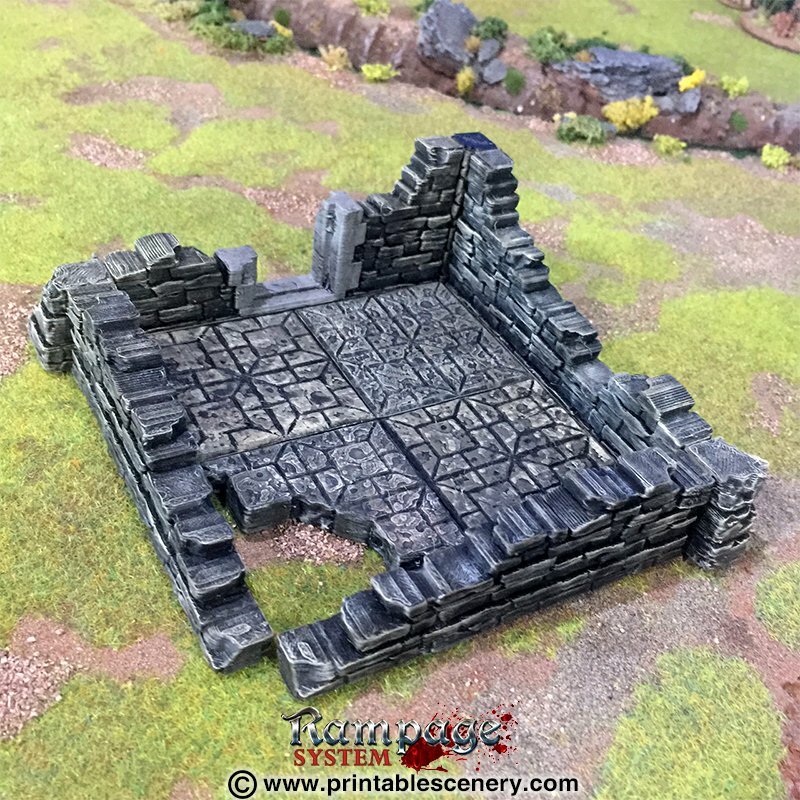 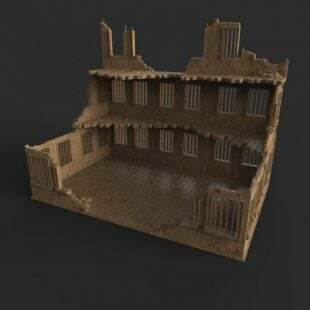 Working on the Ruins of Thundertree for my Mines of Phandar campaign, and these are perfect, the only problem is there are no ruined floors to use with the XR walls. 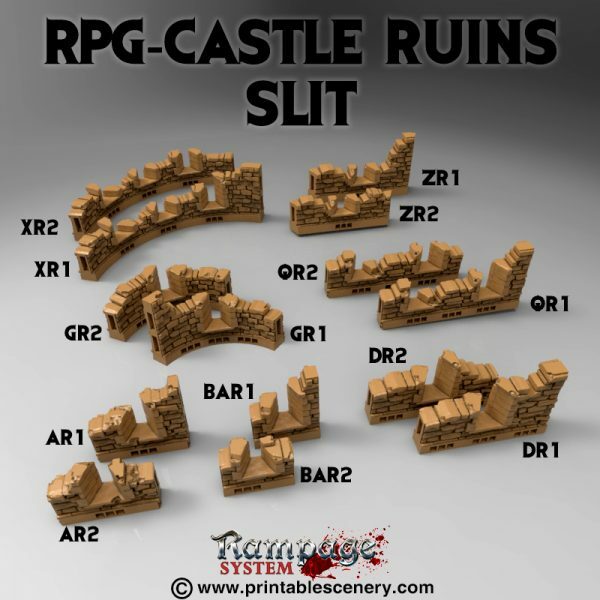 Ruined versions of the V and VN floors would be great, I was thinking a ruined ledge running around the top. A ruined stair way would also be fun, but now I’m getting greedy!